In winter the Barnacle Goose visits the Dutch pastures in large numbers. In summer it breeds in Russia. More and more we find domesticated populations of Barnacle Geese in parks. 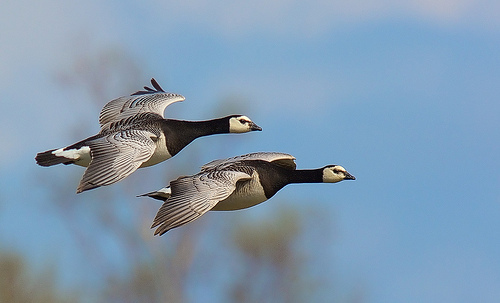 The Barnacle Goose is greyer and slightly smaller than the Canada Goose. Contrary to the latter, it has an almost completely white head. 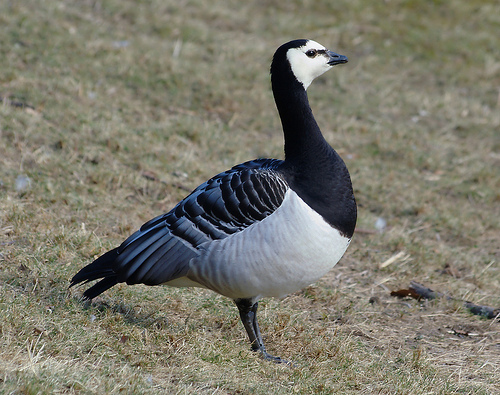 The Barnacle Goose is lighter grey than the Brent Goose and has an almost completely white head.